Good morning! 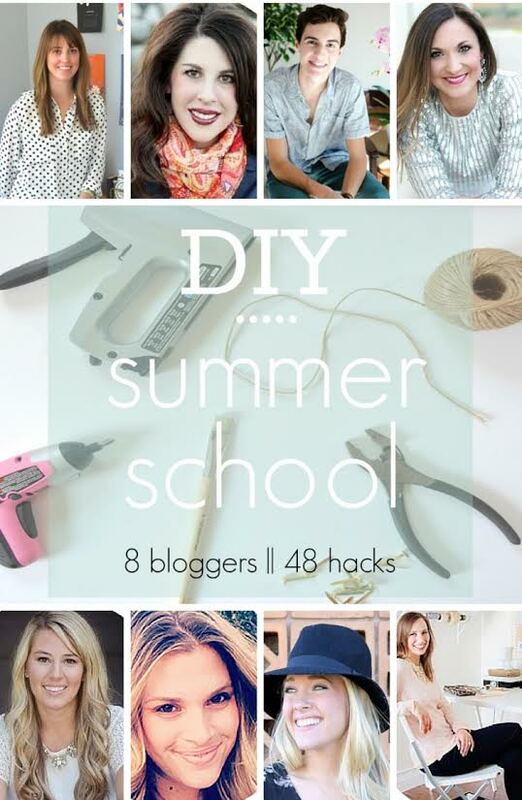 I’m excited to announce a new series I will be a part of over the summer: DIY Summer School. 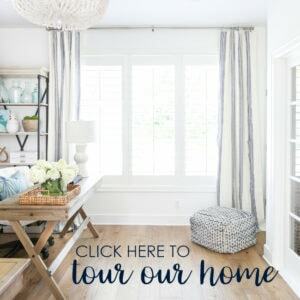 I’ve teamed up with a fabulous group of bloggers that will bring you fun DIY “hacks” over the next few months, and today we are sharing our first project! Our challenge this week was to take an item from IKEA and morph it into something we could use in our own homes. Unfortunately, the nearest IKEAs are in other states and there is very little they ship on their website, so I decided to finally write up the tutorial for an IKEA hack I did a few years back. This is by no means incredibly original but I still love this project to this day, and can’t believe just how affordable it was. 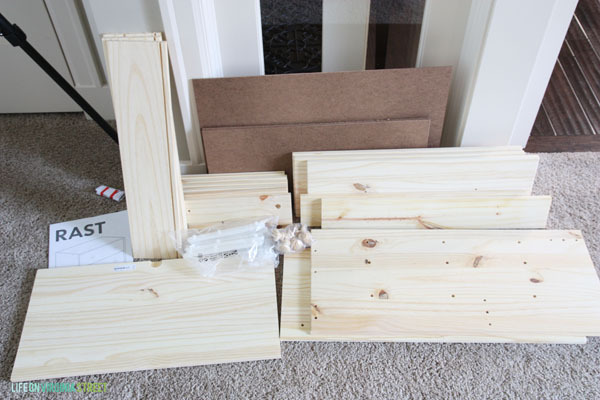 First up, I purchased the IKEA Rast (which is solid wood) for a whopping $35. Then, for the most part, I followed the steps outlined in this blog post by Lindsay Stephenson. Here is how the nightstand looked when I first brought it home. Not exactly a winner yet, is it? I opted to stain the sides and the top pieces first, using a small sample can of Minwax Wood Finish in Jacobean I had lying around and applied it with a foam brush. While those were drying, I then moved onto the drawer faces. For those, I used a foam roller and applied several coast of Behr Swiss Coffee paint in an eggshell finish (which I also had on hand and happens to be the paint on the board and batten wall in the room). I purchased the gorgeous Plain Ring Pulls from Lee Valley Hardware. I couldn’t believe the low price and the fact that they shipped from Canada – all for such an affordable price! Here’s how it looks in the guest bedroom back when I revealed the before and after nearly two years ago. Yesterday I freshened up the vignette on the nightstand and now I love the piece even more! 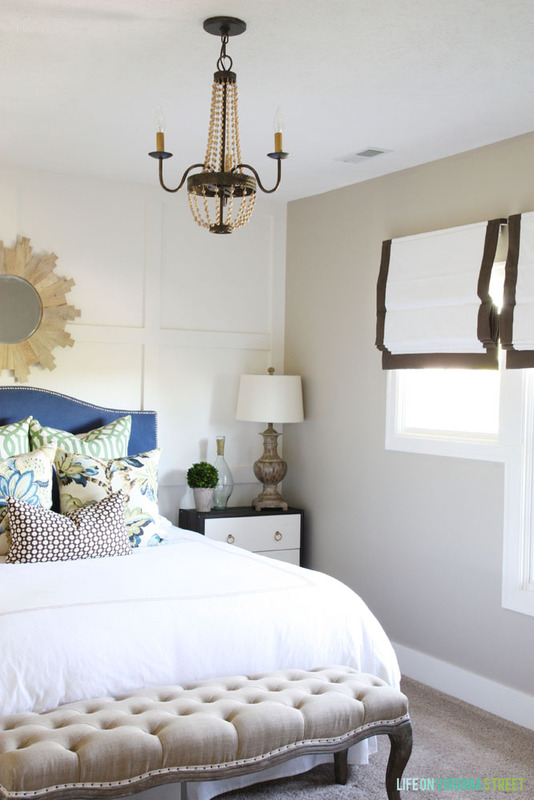 If you want to see the full before and after of this guest bedroom, be you’ll want to check out this post. 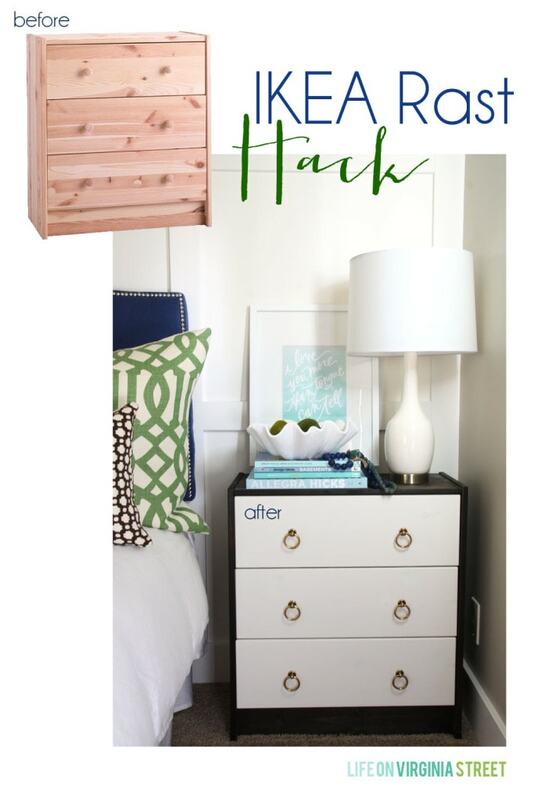 Be sure to check out the IKEA hack from designPOST Interiors, Dimples & Tangles, Claire Brody Designs, Charming in Charlotte, Lindsey Brooke Design, Thou Swell, and Avery Street Design. This is fantastic Sarah! Love it! Love your HACK! I did this a few months ago and made a rolling craft cart…FUN! 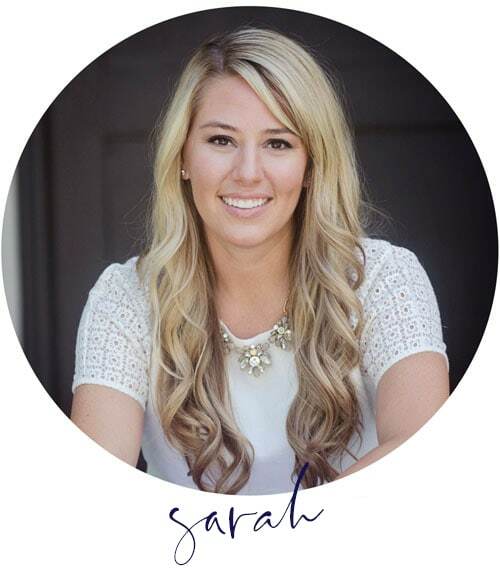 Great hack, Sarah! I love the contrast of the stained wood against the white drawers. That hardware is gorgeous too! Love it! 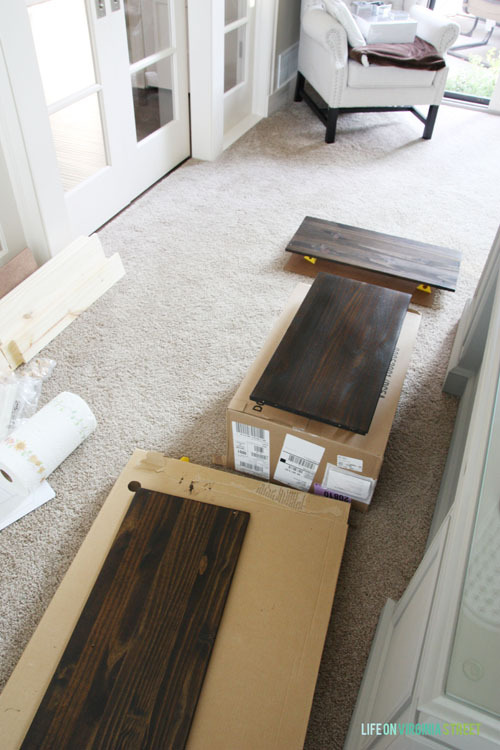 I was planning on getting a pair of Ikea Rast for the smaller stuff in my closet and I am sold on this hack. It looks fantastic Sarah! What a HUGE difference. It’s so hard to believe it’s the same piece of furniture. Beautiful job! I LOVE this! 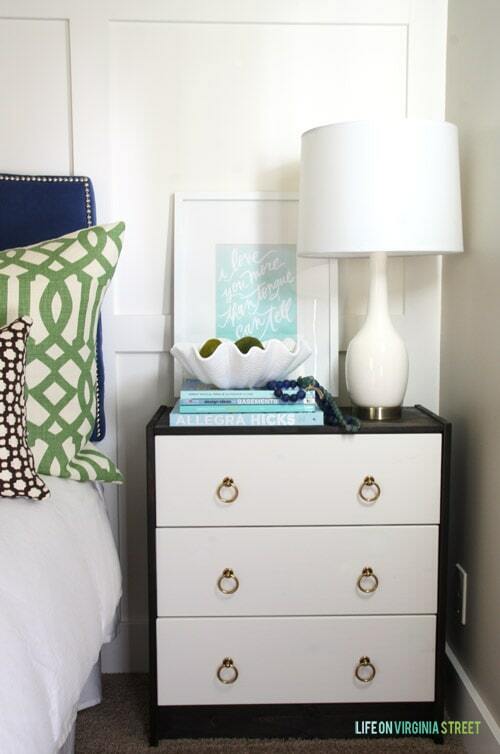 Cant wait till I need more nightstands in my house so I can make these! You did an amazing job! An Ikea really needs to come to Omaha! I love it, definitely makes me think of all the possibilities for that simple bedside table… Such a brilliant hack! Looks great! 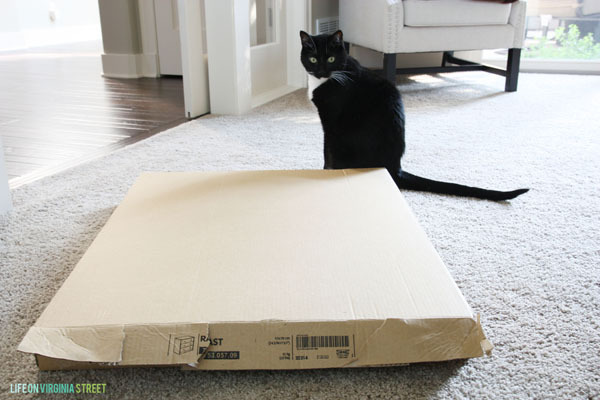 I love hacking IKEA products, too. 🙂 Pinned! Turned out amazing, Sarah! Love the hardware! !